Representatives of EHF Marketing GmbH, the European Handball Federation’s marketing company, met with PGE Vive Kielce and their sponsor PGE; Orlen Wisla Plock and their sponsor PKN Orlen; and Men’s EHF Champions League sponsor Nord Stream 2 on Tuesday, 16 October 2018 in Vienna. The meeting was proposed because of problems in the opening rounds of the competition, which saw both PGE Vive Kielce and Orlen Wisla Plock challenge the sleeve advertising rights of the competition’s new sponsor, Nord Stream 2. With the objective of finding a solution in accordance with the competition’s regulations and commercial agreements as well as in the interests of all concerned, the meeting took place in an open atmosphere and there was an extensive exchange of information by all participants. 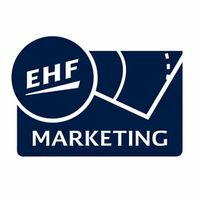 The sixth round of the Men’s EHF Champions League is set to resume on 3 November and EHF Marketing GmbH will now analyse the situation and decide on the next steps in discussion with the EHF.